These are some pieces that I'm stuffing all my extra pennies into a piggy jar for. I absolutely despise buying something for full price, but sometimes I just have to bite the bullet, because those pieces that are of good quality and will last a long time in my wardrobe are worth it! I want to wait for this beauty to go on sale, but I'm so afraid it might go out of stock because of all the good reviews and how unique it is! I got my first J Crew button up shirt about a month ago and now I can never go back. 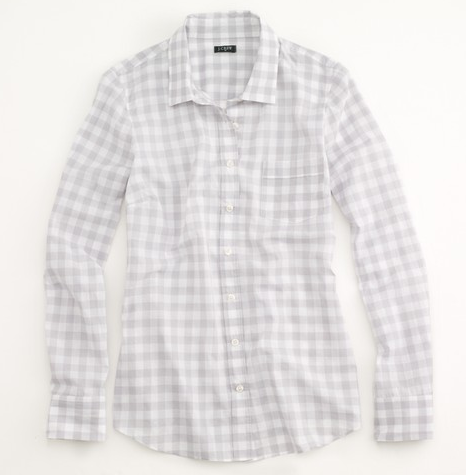 Plus this gray check is so dang versatile, it'll work for all the seasons of the year. If you haven't seen Mad Men, you need to. If anything just for the amazing dresses, gowns, and outfits. 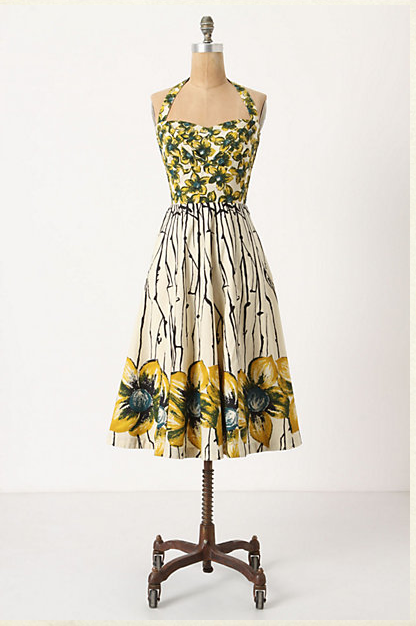 I am so loving how the 50's/60's dress style is the "in" thing right now. Makes things a ton easier to find these types of dresses! Plus this style works on most body types, it is universally flattering and classic. And most importantly, happy Easter!!! Oh I want all those too! Absolutely in love with the pink dress. Happy Easter! Hey Bri! 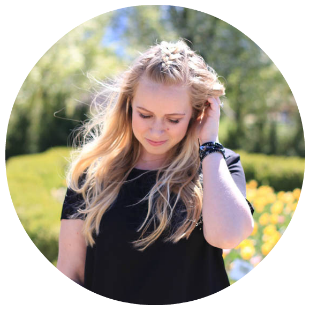 Just letting you know that tomorrow (The 9th) you will be featured as a nominee for the Liebster award on my blog!! Stop by and check it out, and keep up the good work. Also, I'd love to do a button swap if you're interested!! Wow that first dress is just spectacular! :) How much is it listed for? Omg I must have that cream dress. I must. Lol. Love the Mad Men dresses!